Providing you the best range of z440 hp workstation, hp workstation z240 and hp workstation z238mt with effective & timely delivery. Take your business to the next level of performance, expandability, and no compromise reliability in one complete package. The HP Z440 features a perfect mix of HP Z DNA in a performance workstation with up to 8 discrete processor cores, up to 128 GB of RAM, and multiple storages and PCIe configuration options. Here’s to more power to you with the HP Z440 Workstation. HP Z Workstations have been on the market for over 30 years helping you to be inspired. Designed from the inside out to fulfill your needs. 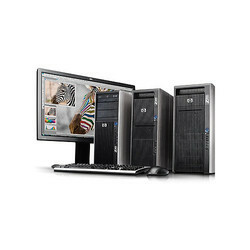 HP Z Workstations deliver high performance and reliability with the latest innovation and industry-leading technologies. 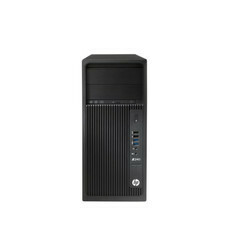 Performance, innovation, reliability from mobile to the data center, your job made easier with HP Z Workstations. Conquer any workload Spend more time creating and less time waiting. HP Z Workstations help you handle more, do more, and give you limitless creative possibilities. Packed with the newest industry-leading processing, graphics, and innovative technologies, HP Z Workstations provide the tools you need to handle the toughest workstreams. 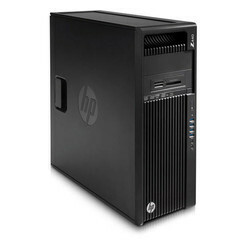 Looking for HP Workstation ?